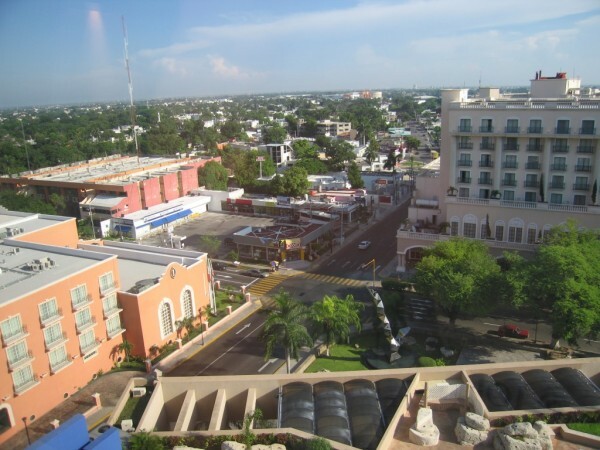 Merida is the capital of the Mexican state of Yucatan and the largest city in the Yucatan Peninsula. It is located in the northwest of the state, about 35 km from the Gulf of Mexico. 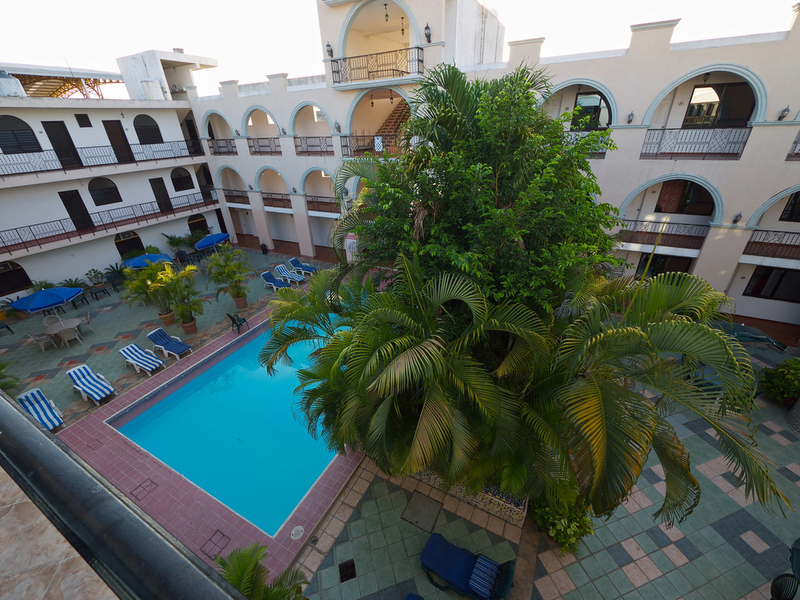 Merida is a modern, cosmopolitan city with museums, art galleries, restaurants, shops and boutiques. A significant center of trade, Merida Yucatan is considered one of the most important places to experience the Maya heritage. Merida was founded in 1542 by Francisco de Montejo and built on the site of an ancient Mayan civilization. After the arrival of the Spanish, this settlement was destroyed and the ruins were used for different buildings in the city. The city of Merida has the second largest historical center in Mexico. As a result of geographical location, strong Spanish influence and isolation from other parts of Mexico, Merida has developed a distinct cultural and political identity.The traditional music and dance of Yucatan is known as the Vaqueros. It plays an important role in the Vaquerías Celebration. The city of Merida is served by four bus local transport companies: Unión de Camioneros of Yucatán (UTC), Camioneros Alianza de Yucatan (ACY ) Merida fast and Minis 2000. 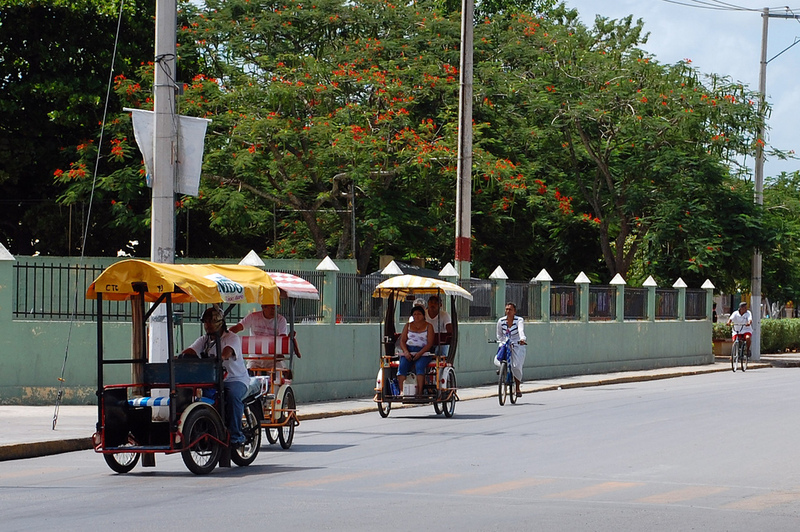 Transportation with bus provides the same conditions as in larger cities such as Guadalajara or Mexico City. Taxis can be found either at one of the many predefined places in the city (Taxi Sitio) or can be called by telephone. Another type of taxi service is called the “Colectivo”. Colectivo taxis work like small buses on a predefined route and for a small charge. 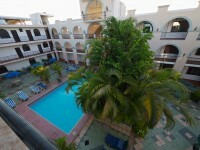 Between the accommodation options in the city of Merida we mention the Nico House, a quiet, clean and cheap hostel, the El Jardin Pension with rooms for 270 pesos, the nomadas Hostel that offers breakfast and beautiful and cheap rooms, the Hostal del Peregrino, which is a colonial house that was trasformed to a cozy and clean pension, the Hotel Aragon that offers 18 rooms with bathroom, air conditioning, telephone, cable TV and beautiful decorations, the Hotel El Espano where all rooms are equipped with air conditioning, refrigerator, telephone and cable television and the Hotel Luz with fully furnished apartments, equipped with kitchen and private bathroom, all this in a former nunnery. Mérida is served by the Manuel Crescencio Rejón International Airport with services to and from major cities in Mexico (DF, Monterrey, Villahermosa, Cancún, Guadalajara, Tuxtla Gutierrez, Toluca), international cities (Miami, Houston, La Havana), offering flight services to and from Europe and Canada as well.